AHHHHHH!!! It’s the last blog! And to celebrate, I will be writing about one of my favorite animals that I’ve always been fascinated with, leopards, specifically the Amur Leopard. Why are the most amazing animals those that we lose the fastest? We have all seen leopards in movies shown as the bad guys, attacking humans and being killed because of it. The leopards are not the evil ones, in my opinion and when it comes to the Earth’s biodiversity, the human race is the bad guy. Buuuut that’s what I get into in my Issue Brief. For the Amur Leopards, because of human interactions and development, this species is known as the rarest cat in the world. Also called Panthera Pardus Orientalis, the amur leopard is one of the most endangered species labeled as critically endangered as opposed to just endangered. Even though there are 9 subspecies of the leopard, this specific species only has about 40-60 individuals left on this planet. This species of animal is so close to completely going extinct unless change is to happen. We can’t afford to lose all of our worlds beautiful creatures. Leopards are usually though to live in the savannas of Africa, there used to be large populations of the species living there, however, they have moved to the Russian Far East. This species is very rare because not many species can survive in the temperate forests that are found in the northern most part of the species range, a range of land that a certain species can successfully occupy. Weighting around 70 to 105 pounds these creatures are truly amazing. Surprisingly, they can run at speeds to around 37 miles per hour! So don’t even try to think you could run from one of these hungry beasts. They have also been found to jump over 10 feet vertically in the air and leap more than 19 feet horizontally!! The Amur Leopard is usually a solitary individual. However it has been found that males may stay with their females after mating, even help with the upbringing of the young. The males have also followed their females and have fought over them. These are strong, nimble footed creatures that are very smart with their actions. They have even figured out that hiding the unfinished carcasses of their prey will prevent other predators from eating their food. They can live around 10 to 15 years in the wild and only 20 years in captivity. If something is not done in this generation, we could lose this incredible species of leopards forever. One of the major reasons for the Amur Leopards endangerment is prey scarcity. Habitat loss is actually not one of the reasons they can’t survive. It seems like I say that every week for these animals. But humans are still the culprits of this new reason. The prey base is just insufficient to sustain any large populations of the leopards. These creatures would be able to survive only if laws and policies were set to prevent the poaching of the prey species. 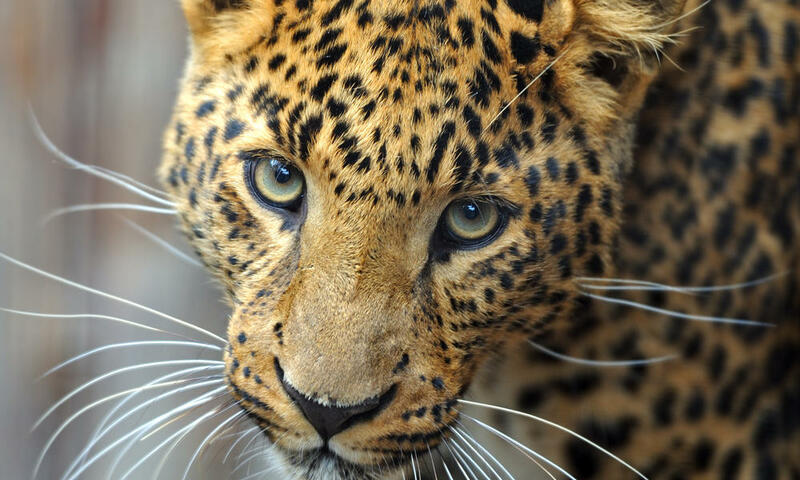 The Amur Leopards would thrive once again in time if development and logging would retire in their forests and the prey population would repopulate. Wellll I hope you have all enjoyed learning little facts here and there about the endangered species of our world. My goal has been to spread awareness of our dying biodiversity and specifically our endangered species. More and more animals are becoming endangered and extinct every day, even animals scientists have not discovered yet. It is our duty as a human race to protect this Earth and all of its creatures. We should not be causing their extinction as we are today. Things need to change I our world and fast if we are to continue living on this Earth. People don’t realize how important biodiversity is and how much we need these animals. Help me spread awareness and education of this fact, we need to save our animals, in order to save ourselves. This entry was posted in Passion Blog, Passion Blog Spring 2015. Bookmark the permalink. Truer words have never been spoken, Jenny. Now get some sleep. Wow they are so majestic! I think I say this just about every week, but every single one of them is just so darn cute! I want to just hug all of them and not let anyone or anything hurt them. You never really think about the widespread affects that poaching can have. Normally I just think of it as endangering the species that are being poached, but this is a perfect example of how poaching can affect an entire food chain, indirectly endangering other species. It’s been sooooo amazing to read your blogs every week Jenny! It’s really made me recognize the importance of protecting these precious species to maintain the biodiversity of this planet. Love ya lots and thanks for sharing your blog with me! YES Jen!!!! My high school mascot was the Leopard so naturally, I’m a huge fan. I really loved reading your blog this semester! It’s really great that you love animals so much (just like me!). This world really needs more animal lovers. The leopard is amazing. I love the pictures! Of course it makes me so sad that yet another animal is endangered. Leopards are so unique and I wish we didn’t always need to worry about losing animals like them! Humans do really need to put more effort into conserving the world rather than destroying it for their own needs. Thanks for all your posts!